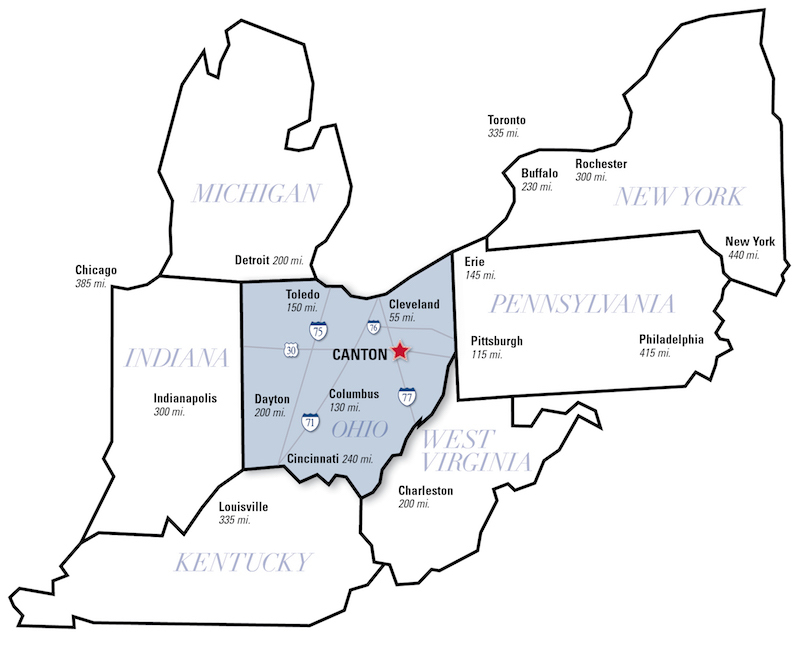 Located in Canton, Ohio, Malone University is at the crossroads of a vibrant corporate corridor which includes Cleveland, Akron, Columbus, and Pittsburgh. Only minutes from Interstate 77 and within an hour of two major airports (CAK and CLE), Malone students can easily access the world around them. That address will bring you to our Cleveland Avenue entrance; campus also has an entrance from 25th Street NW. Directions from the major interstates to Malone can be found below, or get complete driving directions from Google Maps.